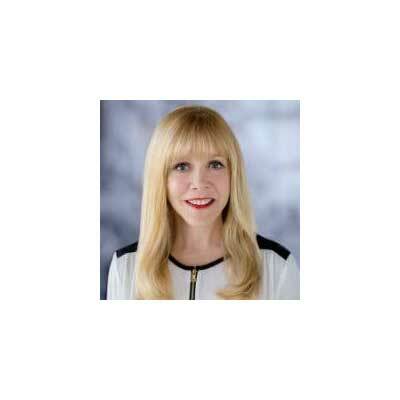 Vice President, Global Channels and Alliances, LookingGlass Cyber Solutions, Inc.
Laurie Potratz is Vice President, Global Channels and Alliances at LookingGlass Cyber Solutions. She is an experienced sales and marketing leader in cybersecurity, networking, virtualization, and storage. Her field and Channel experience includes partnering with MSSPs, Solution Providers, Systems Integrators, OEMs, Alliances and 2-tier distribution. Potratz has extensive experience working with partners to expand and enhance their global offerings. She has held leadership roles at Symantec, VMware, Brocade Communications, Veritas and BMC Software. She has been named four times to the "Power 100 Women in the Channel" by Computer Reseller News, and one of the industry's "Channel Chiefs." Potratz has over 25 years of experience including management roles in direct sales, marketing, and channels; she has expertise in building and launching emerging channels, and in developing international markets in EMEA, APAC and Latin America. Potratz earned a Bachelor's and Master's degree from the University of Rhode Island, as well as an auxiliary degree from the Institut de Sciences Politiques in Paris, France. She is bilingual (French/ English). She supports Habitat for Humanity, and has served as a mentor through Women in Networking, Dress for Success, and organizations that encourage business skills development for women to realize their full business potential. As the head of the LookingGlass Cyber Guardian Network, I am responsible for the strategic direction and execution of the partner program. Approximately two years after launching the Cyber Guardian Network, more than 50 companies around the globe have joined the partner program. The Cyber Guardian Network is focused on empowering security teams to confidently prevent, detect, understand and respond to prioritized, relevant threats throughout every stage of the threat lifecycle. As part of that effort, I worked with our team to launch LookingGlass' Threat Intelligence-as-a-Service offerings to enable Managed Security Service Providers (MSSPs) to supplement their existing security services portfolios with information security, brand security, or physical security monitoring protection - all supported by LookingGlass' global team of expert security analysts. • Implementing partner enablement, training, certifications, and go-to-market initiatives to build sales pipelines and drive Channel revenue. • Expanding Channel penetration of targeted international countries. • Growing the Channel partner ecosystem that leverages partner skills and reach. • Increasing the number of U.S. SLED partners. • Increasing overall percentage of company revenue derived from the channel by addressing productivity and deal velocity. • Recruiting and nurturing MSSPs by adding LookingGlass security offerings that can be easily bundled with other security services and IT outsourcing projects. Laurie is a two-time honoree on CRN's Channel Chiefs list, recognizing her dedication to the channel throughout her career with multiple companies. Additionally, CRN named Laurie to the Power 100 Women of the Channel multiple times, as well as one of its 2017 Women of the Channel, listing her among the most influential women executives. Nellie Bly (1864-1922) Elizabeth Cochran, 21, wrote a rebuttal to a sexist editorial in a local newspaper. "Nellie Bly" was born when the editor offered her the pen name and a job. She was ahead of her time with articles on women's rights, labor laws, and political corruption. I admire her inventiveness, courage, vision and tenacity. Bly went undercover at a mental institution; her reporting on the facility's unsanitary food, rat infestation, and continual abuse of inmates created healthcare reform. The newspaper sent her on a race, setting the record for circumnavigating the world. She also held several patents. Be passionate about whatever you do. Be thoughtful. Plan. Be prepared for failure and benefit from it. Stay positive. Deliver on what you commit to. Experiment and experience. Be kind. I would like to be more proficient at leveraging social media. There is so much noise out there, navigating social media to derive its real benefits would be a goal. "In Search of Lost Time" by Marcel Proust is a favorite of mine. I first read it in the original French when working on my Masters; it was arduous but very worthwhile. I have recently re-read it in English; it still resonates with me. It touches on universal themes and can be understood on many levels. It is about human interaction, memory, emotion, understanding, and self. While there is a story and a plot, it causes the reader to question assumed truths and re-evaluate. It is an extremely famous book, on most "best reads of all time" lists.